Picked up at the HarperCollins event. Fire by Kirsten Cashore - Swapped on ReaditSwapit. Phew! This is what happens when I leave this post a few weeks! What would you read first? Awesome stuff this week! I'm dying to get my hands on Name of the Star! It sounds awesome! Fire was a really great book too, so I hope you enjoy it! I recently bought The Name of the Star on audio, I hope we'll both like it. 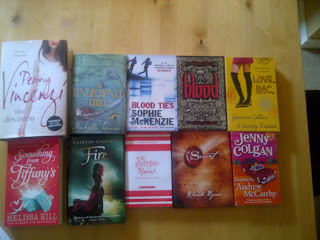 Of those I've only read Withering Tights (reading group girls also loved it) and Blood Ties. I'm currently listening to the sequel to BT, Blood Ransom. BT is really exciting. name of the star sounds good and withering tights, and fire. Oooh. So many good looking ones. Was only reading up about The Lost Angels Avenger's Angel last night. That cover of MUSE is so so lovely! It’s beautiful. Looks like you got so many great books so I hope you have an amazing time reading them! Wuthering Tights looks so cute! Oh, and you got Fire! Nice list. I am intrigued by "ReadItSwapIt", gonna have to take a look! so many great books viv! enjoy them. I've had my eye on Wuthering Tights. The Name of The Star is awesome! And I really want Slide! But the UK cover freaks me out... Awesome mailbox! Awesome haul! I was at the Cassandra Clare Foyles event too. The Name of the Star looks great and I keep hearing good things about it. Woah amazing IMM this week, Viv! I want to look up Blood Ties. I've seen a lot about Sophie McKenzie's books. So many great books this week-- I can't wait to get my hands on a copy of The Name of the Stars and Louise Rennison is one of my favorite authors :) I didn't know Chadda had a new book coming out! The things you learn will reading IMM :) Happy reading! I looooove Fire and The Scorpio Races!!! Great set! Hope you enjoy!! You got a lot of really awesome books this week. :) I've been hearing quite a bit about Slide. 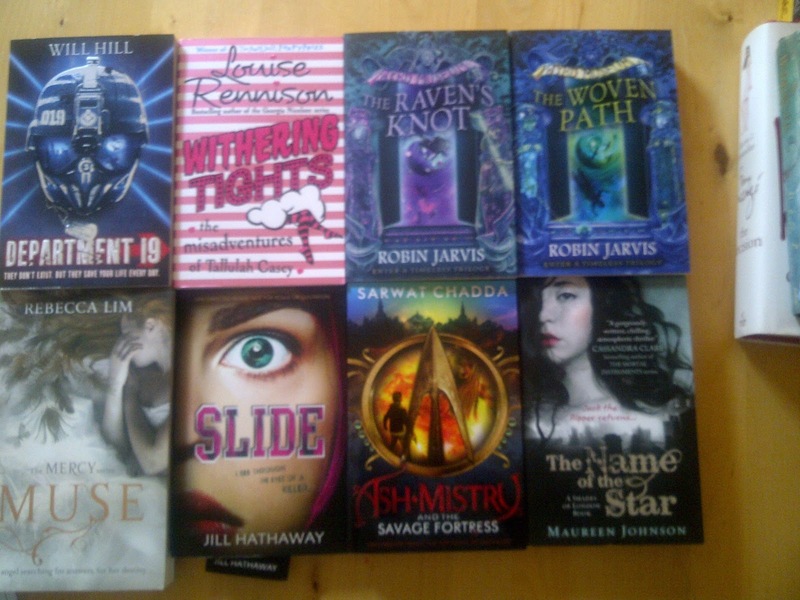 Awesome books this week! I can not wait to read The Name of the Star and I loved Blood! I hope that you enjoy your new books! Look at all of those books! I loved Fire and enjoyed Name of the Star as well. Here's what I got this week. Happy reading! Wow, what a week! Out of all those books, the cover of Withering Tights stands out to me. Wow, that is a lot of books! I love the cover on Fire! Lots of good books :D Enjoy! WOW! this is an awesome mailbox, Slide, Blood, Love Inc... Im jealous! I hope you enjoy all your books Viv! The name of the star is really good, my imm is up as well. Do you know what? I love your font. Love your books, too, but I love your font. Great selection this week! Here's mine. Ooh, Name of the Star! I really want to read that! I was in Waterstone's yesterday and noticed that it's 1/3 off in there at the moment, but I'm on a self-imposed book buying ban until I've read a few more of the partly-read books I've got at home :( So NotS will have to wait. 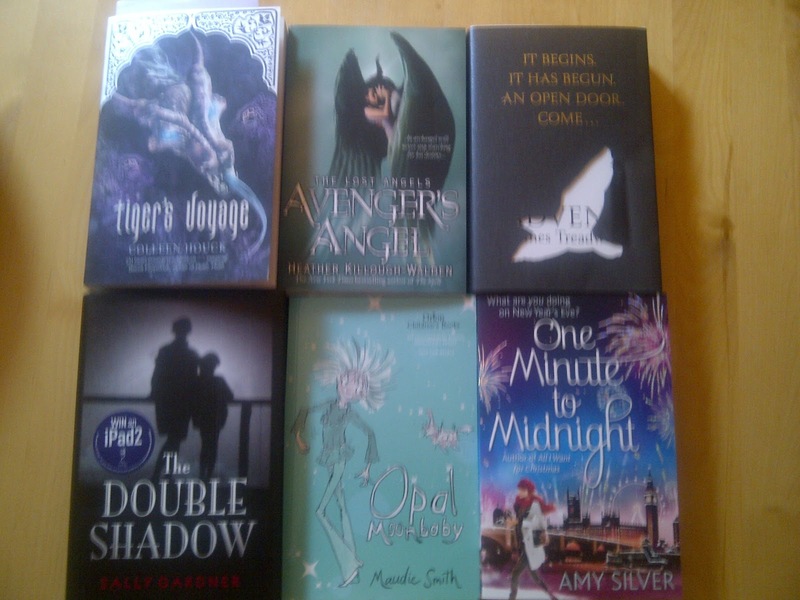 I love when I find other UK book bloggers through IMM :) New follower here! I'm looking forward to reading Maureen Johnson's book :) Enjoy.